Additive manufacturing is providing value for industries outside the bounds of what have traditionally been considered suitable for 3-D-printable products. “Frito-Lay uses the lowest-cost printers to print prototype potato chip geometries. They claim that getting these plastic potato chips in their customers’ hands gives them more confidence in scaling up their production tooling.” While Frito-Lay (is) prototyping, Bugatti and Chanel have begun 3-D-printing their final products. 3D printing has broken out of the realm of plastic trinkets and become a part of the entire product life cycle, according to a talk by Desktop Metal cofounder John Hart at MIT Technology Review’s EmTech Next conference. Hart, who is also an associate professor at MIT, says that 3-D printing can do everything from conceptualizing and prototyping a product to producing its last unit. Additive manufacturing—the formal name for 3-D printing—is increasingly used at various life stages of an item, as well as in new industries, and Hart points to this as proof of the technology’s coming of age. He sees big companies like HP successfully creating and selling 3-D printers, eyeglass companies using the technology to disrupt the supply chain, and an uptick in additive manufacturing adoption to create aerospace parts.Additive manufacturing is providing value for industries outside the bounds of what may have traditionally been considered suitable for 3-D-printable products. “Frito-Lay uses the lowest-cost printers to print prototype potato chip geometries,” says Hart. 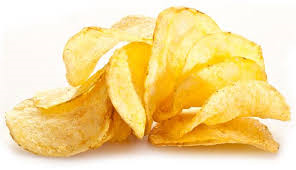 “They claim that getting these plastic potato chips in their customers’ hands gives them more confidence in scaling up their production tooling.” While Frito-Lay will likely stick with prototyping, companies like Bugatti and Chanel have begun 3-D-printing their final products.Hart foresees fully automated 3-D-printing facilities in the next three to five years. Slow production time holds back adoption of the technology, but Hart’s lab has made substantial progress on improving printing speed in the past year. “The idea of instantaneous prototyping rather than rapid prototyping can be profound for engineering development, as well as profound for the cycle of repair maintenance or emergency operations,” he says.